DON’T do it from “Control Panel”>>”Programs”>>”Turn Windows Features on or off”. For more noob-friendly-details, please visit Microsoft site, here. If you get trouble uninstalling IE 9 as described here, visit here. 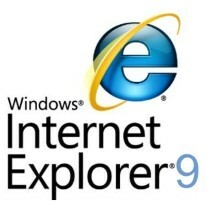 Download IE 8 from here: http://windows.microsoft.com/en-US/internet-explorer/downloads/ie-8. Don’t forget to select right language and right OS version. Install the downloaded file as usual. Thanks for visiting my blog post. If this helped you, don’t forget to click “Like” and/or “+1” button below.